Get Your Perfect Electricity Plan in Stephenville, Texas! We compete to earn the business of more than four million customers every day, and Direct Energy will continue to lead energy innovation through connected experiences that make a difference in people's lives. Even though we're one of the largest residential energy retailers in North America, we provide big-business know-how without sacrificing the personal touch you'd expect from a neighborhood energy provider. See how we provide best in class solutions for our residential and business customers! Have you observed an increase in your energy bill? Understand your energy usage like never before with our insights. 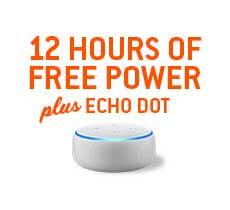 They will help you make smarter decisions, reduce your energy use, and spend less. Direct Energy is there for you. With plenty of specially-designed offerings across the United States and Canada, we are a resource you can rely on. Given the various fun activities available in the Cowboy Capital of the World, like attending the Cowboy Capital of the World Pro Rodeo, the last thing you want to do is waste time thinking about your electricity. Lasso in low, fixed electricity rates from Direct Energy! 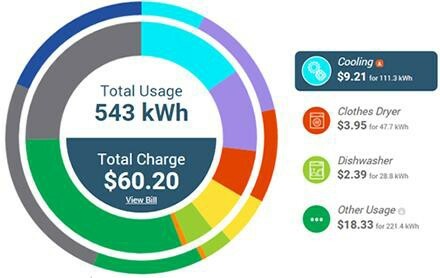 You don't need to spend another hot and humid Stephenville summer stressing about your electricity bill because with products and prices that are right for your home and your budget, Direct Energy has you covered. 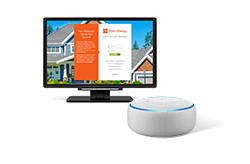 There is a wide assortment of plans available to you, from the Echo Dot plan to a fixed rate, which gives you a rate that won't change with the seasons. You can always count on competitive electricity rates and exceptional customer service, and those are just a couple of the perks we offer. The Online Account Manager is your all-access pass to your account. Log in to view your payment history, refer a friend, and more! Access it from any device. We want you to use less energy. Yes, we mean it! It's better for your wallet and the environment. Let Direct Energy show you ways to decrease your energy use that are simple enough to incorporate into everyday life. At Direct Energy, we want to be more than just your energy company. We want to be there for you every day as a partner in your home. That's why we provide you with the knowledge and tools to help you become more energy-savvy, while creating a brighter home. Why not choose the company that grants you the tools and technology to Live Brighter when you have the power to choose your electricity provider? Direct Your Energy, our easy-to-navigate usage insights resource, analyzes your energy usage, helping you make expert choices and use less. Receive a top-level view of your current energy usage. Does it look like your energy usage is going up this month? Or have you been taking shorter showers, and noticing some savings? Extensive tools are at your disposal! Just head to our Learning Center or blog. 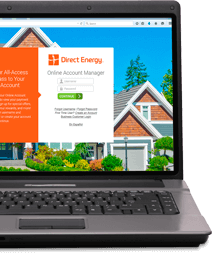 Direct Energy is committed to helping you understand and manage your energy use and take care of your home. Need to know how to prevent and thaw frozen pipes this winter? We have those tips for you and more! Are you changing Stephenville electricity providers? Or maybe you need new service? Direct Energy makes it easy, so if you've been researching TXU Energy, or other electricity providers such as Reliant Energy or Green Mountain Energy, don't look any further. It doesn't matter if you want the stability of a fixed rate or the freedom of a connected home bundle, we have the electricity plan that suits your needs. Any plan can be managed in our easy-to-use Online Account Manager. There, you can sign up for options like Paperless Billing and Auto Pay to make paying your bill stress-free. There are several things you can always count on, no matter which electricity plan you choose for your Stephenville home - like fixed rates and great customer service! We empower you to make smarter, more informed choices with our energy insights tool, Direct Your Energy. Access our library of resources to increase your energy efficiency and save on your monthly bills. We aren't the same as all the other electricity companies in the Lone Star State. We are committed to helping you spend less money. In fact, with Reduce Your Use Rewards, Direct Energy is rewarding customers for consuming less electricity at specified times! Get started with Direct Energy today and lead a smarter life.